Puget Sound area home, land, and property prices are on the rise and are in huge demand. Not only is this area and its surrounding areas becoming a popular choice for raising a family, purchasing an investment property, or even starting a business, it also has hundreds of acres available for anything you’d like! Regardless of whether you are looking for a piece of land to build a home, business or for another recreational or industrial purpose, King and Snohomish Counties should be on your list of locations to visit. Start by visiting NewHouseMatch.com to search for Mill Creek acreage for sale. By using New House Match to search for available acreage and properties, users and visitors have access to the most up-to-date available vacant land and property listings in the Mill Creek community and throughout the Seattle area. From uncleared, wooded lots to waterfront properties, you are bound to find the acreage and vacant property you are looking for. At New House Match, users and visitors also have access to a network of real estate professionals to help you with your search process, purchase decision, and even represent you through every step of the real estate process. If you have found the perfect vacant property or acreage for sale, then we highly recommend that you speak with a real estate agent at New House Match to get started. At New House Match, we offer free consultations, so it’s free to talk to us about one of the properties that interests you. At New House Match, we consider ourselves experts on Seattle properties, lands, and even Mill Creek acreage for sale. 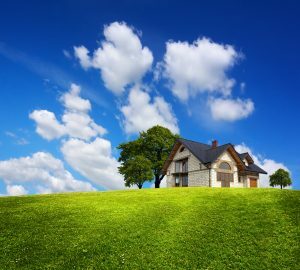 For more information on cheap acreage for sale, homes with acreage for sale, and Mill Creek acreage for sale, contact NewHouseMatch.com today at (425)268-0347 for a free consultation and to get started on your real estate purchase.